Test Things Differing – Athol Walter. 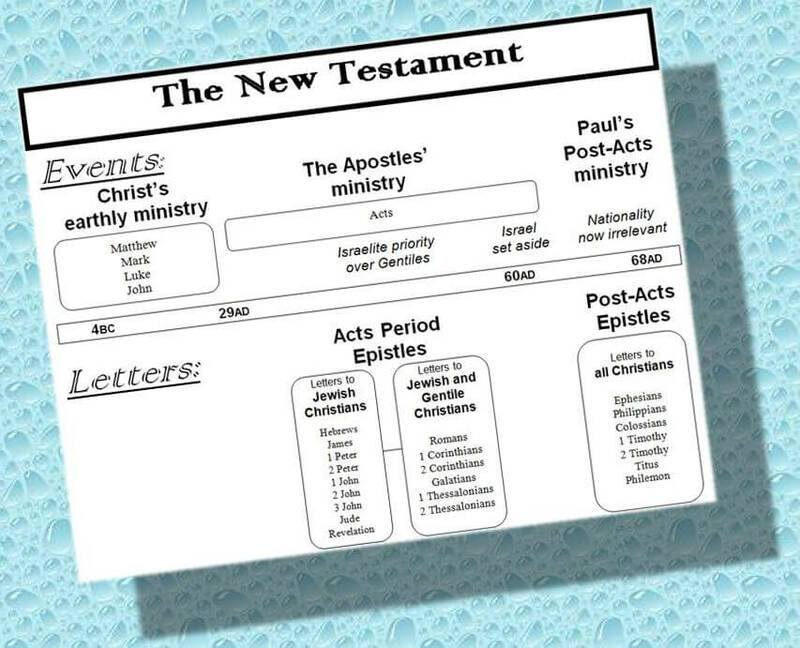 A 15 minute introduction to the idea that some conditions and instructions in Scripture vary with a change of dispensation – also known as “testing the things that differ”. Gentiles in Scripture – The place of Gentiles in the plan of God, and the differences we may observe before and after Acts 28. Acts 28 – The Dividing Line – The significance of this important turning point in God’s dealings with man. What is the Gospel? – Karl Edwards. Is there only “one” gospel? What was the gospel that Christ preached, and how does that compare with the gospel preached today? Adoption in Scripture – Athol Walter. A brief introduction to noting the difference between being a “child” of God and a “son” of God. Three Companies of Believers, and Three Spheres of Blessing – Athol Walter. A discussion of the different companies and hopes in God’s dealings with mankind. The Beginning of the Church Today – Arthur Lambourne. A series of studies discussing the timing and circumstances of the beginning of today’s church, and the significance of this. Which Kingdom Is It Anyway? – Athol Walter. This excellent in-depth series examines the term “Kingdom” in Scripture from several different perspectives. Thanks for the teaching. Gr8t site, GRACE AND PEACE.